If you've been going crazy over Portal 2 then I wouldn't be surprised if you had a Replica Sentry Turret hanging around the house. 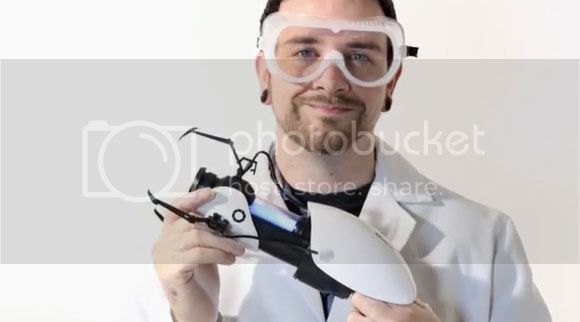 But if you're more into the convenient stuff to have around like this Portal 2 Minitaure Portal Gun then you're in luck because the guys over at ThinkGeek are now shipping these babies to anyone who has USD 60.00 lying around the house. It's got all the posable claws, blue and orange LED's to keep your Portal fantasies alive. Go ahead and check the break for the video ad they have that runs down all of it's features.